The new 3D film explains the advantages of the Hartmann metal-to-metal sealing system in comparison to soft sealing or PMSS systems. When closing the ball valve the internal velocity of the medium increases. The sealing system is now exposed to being struck by high speed debris. In the film you can learn what damage is caused at the inlet and downstream side of a soft sealing ball valve and this will result in expensive repairs. On the contrary, the Hartmann Valves sealing system is metal-to-metal: A hard coated ball and hard coated seat rings are designed to avoid this damage in the seat area. 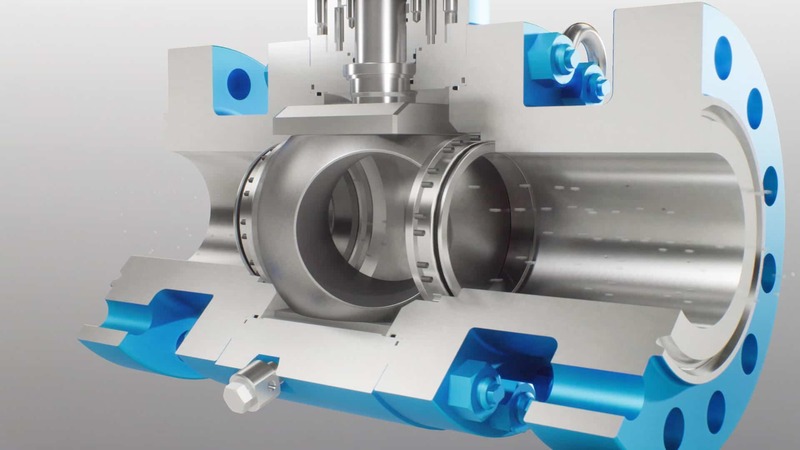 With a rate “A” requirement, the valve should have no visible leakage, and Hartmann metal-to-metal sealing ball valves are gas tight even at high cycles and for a long-lasting shut-off with minimal maintenance effort.